This distillery is located in Montrose, in the Eastern Highlands. There used to be a flax spinning mill on site before the distillery was constructed. The "Whisky bubble" was quickly growing during the end of 19th century in Scotland. Glen Esk/Hillside was a subsequent result of this bubble. They started with the name Glenesk, though in 1899, J. F. Caille Heddle took over the distillery, and named it North Esk Distillery. The malt Whisky distillery was closed during WW I. But in 1938, Joseph W. Hobbs and Associated Scottish Distillers Ltd., reopened the distillery as a grain Whisky distillery, and named it Montrose. In 1964, Scottish Malt Distillers bought the distillery and converted it into a malt Whisky distillery again, named Hillside. William Sanderson & Sons Ltd took over in 1973, and not surprisingly renamed the distillery Glenesk. They closed in 1985, and SMD's license was cancelled in 1992. The distillery changed ownership many times, and each owner practiced different Whisky styles. Glenesk started its life as a malt Whisky distillery, then evolved into a single grain Whisky distillery, then returned to a malt Whisky distillery once again. As a malt distillery it had 4 stills, and during its grain Whisky distillery stage, a Coffey still was installed, in 1938. 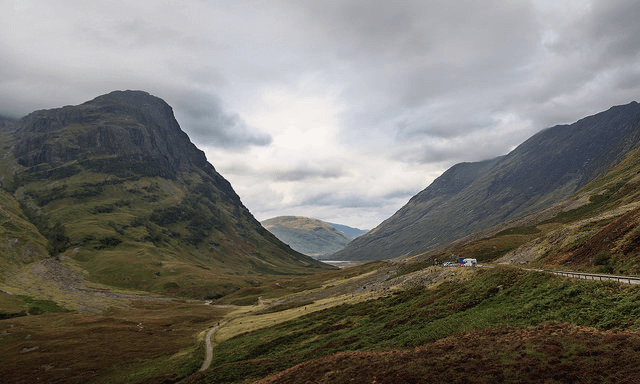 What does Glen Esk/Hillside taste like? The Flavour Spiral™ shows the most common flavours that you'll taste in Glen Esk/Hillside Scotch. It's based on all Glen Esk/Hillside drinks in our large database and gives you a chance to taste Glen Esk/Hillside before actually tasting it. Buildings of Glenesk /Hillside were demolished in 1996, except for the maltings. The maltings were sold to Paul's Malt Ltd., which was taken over by the Irish food company, Greencore, later on. In 2010 they were bought by Axereal. William Sanderson & Sons were famous for their VAT 69 Whisky. There is no doubt that even today, VAT 69 still has some Glenesk in it.